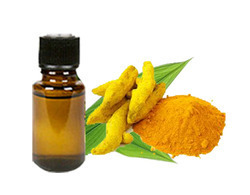 Prominent & Leading Manufacturer from Navi Mumbai, we offer patchouli essential oil, turmeric essential oil, sea buckthorn seed essential oil, rose essential oil, spearmint oil and lotus essential oil. 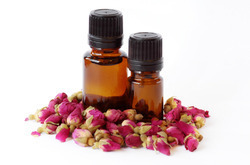 Rose oil (rose otto, attar of rose, attar of roses or rose essence) is the essential oil extracted from the petals of various types of rose. Rose ottos are extracted through steam distillation, while rose absolutes are obtained through solvent extraction or supercritical carbon dioxide extraction, with the absolute being used more commonly in perfumery. Even with their high price and the advent oforganic synthesis, rose oils are still perhaps the most widely used essential oil in perfumery. 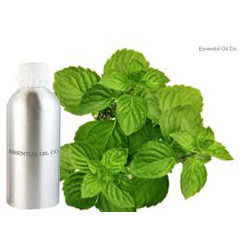 Aromatherapy oil: Because of its menthol content, spearmint oil is often used in aromatherapy to help treat fatigue, headaches, migraines, nervousness, and even digestive problems. Food ingredient – Oil of spearmint is sometimes added to baked goods, frozen dairy, meats, beverages, and chewing gum. Note, however, that you are better off consuming whole, raw foods than these processed ones. 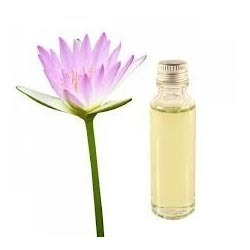 With our proficiency in this domain, we manufacturer and supply a wide range of nutrition enriched Lotus Essential Oil. Illustrious for its rich aroma and high medicinal values, this essential oil is widely demanded in the market. 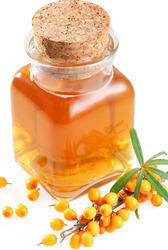 Processed at our state-of-art processing unit, this essential oil is mainly used in aromatherapy due to the fragrance. Besides, clients can avail this essential oil from us in varied packaging options.